Next Milan Flower Show on 17, 18, 19 May 2019 — The Orticola Flower Show was created for Milan in 1996. Ever since it began, Orticola has continued to be the most important Italian show for national and international specialised nurseries. Not only this, it has also dedicated its proceeds to greening the city for the last 23 years. 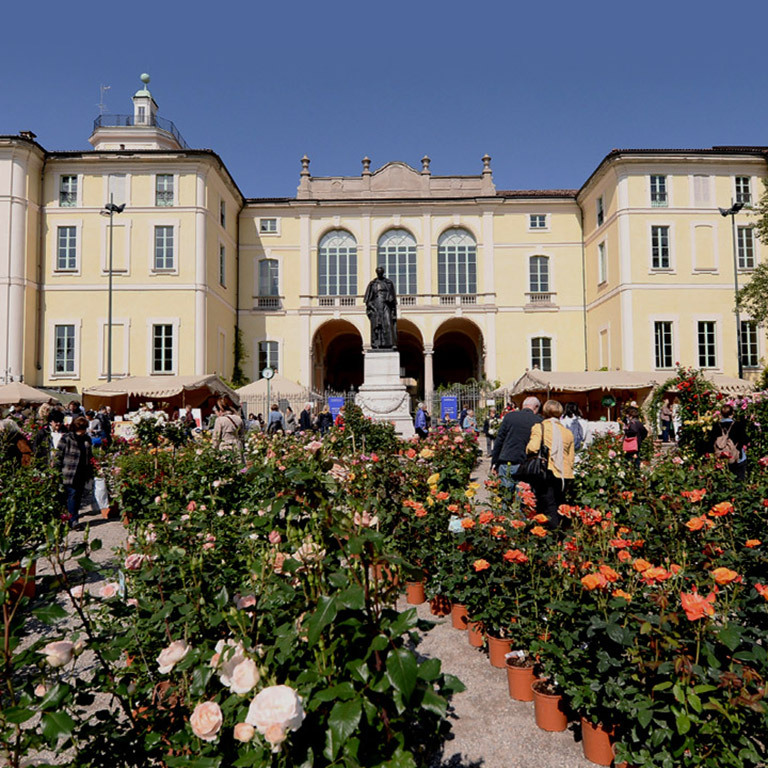 In this light Orticola will be involved in the improvement and maintenance of the Perego Garden, the Royal Palace Garden, the Palazzo della Triennale Garden and the extension of Flowering Allotments at Citylife, and continues with the new four-year cycle of “study days” started in 2017. 17, 18, 19 May 2019 from 09:30 a.m. till 07:30 p.m. at the Indro Montanelli’s Garden. This year the chosen THEME is “Companion planting: good botanical associations”, that is combinations of plants with similar needs. Symbol design of the 2019 Flower Show, Artwork signed by Sofia Paravicini, showing a simple bunch of flowers, a peony and a tulip, which live happily together. Italy offers a multitude of climates, environments and flora due to its hydrogeology and position, where plants grow together and intermingle according to their needs and behaviour. These characteristics must be respected for successful gardening, favouring juxtapositions, not just based on shape, colour and flowering times, but above all on plant requirements and how they coexist. This means good associations, in which different species grow in optimum conditions, sharing space with plants with similar water, temperature and soil requirements … choosing them to obtain the best aesthetic combinations too. In any situation a correct combination of plants, favouring greater eco-sustainibility, will result in more self-sufficient compositions, with less need for maintenance, giving better and more durable results both biologically and aesthetically. It is no coincidence that the XXIVth edition of the flower show is symbolised by two flowers which live happily together, a paeony and a tulip. This year’s illustration is signed by Sofia Paravicini with a simple bunch of flowers in mind, including several insects vital to the whole eco-system. The palette recalls the delicacy and softness of flower petals. 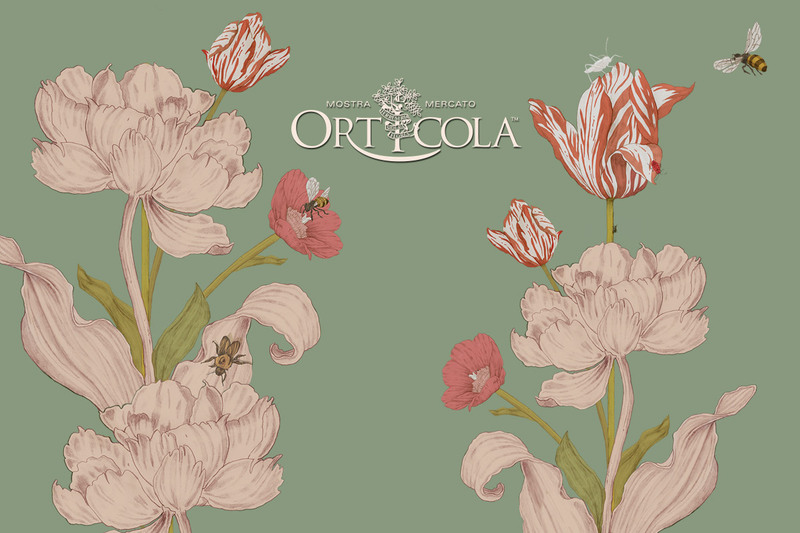 As always Orticola’s true protagonists are nurserymen and each year there are more, including the young and start-ups, as well as interesting historic family traditions. Oasi Tropicale in Valcuvia is the dream of a young pharmaceutical trainer, Luca Chiesa, from Cuveglio in the Varese province, whose passion, arising from his exotic trips and the wish to experiment, are unusual tropical, citrus and medicinal plants such as the tamarind, Tamarindus indica, a powerful anti-oxidant, the guava, Psidium guajava, rich in Vitamin C, or cocoa, Theobroma cacao, rich in beneficial substances and useful for inducing good moods and relaxation, all reproduced from seeds collected all over the place, germinated with particular propagation and acclimatising techniques. Valerio Guidolin, in charge of Diflora, a carnivorous plant nursery, is another young nurseryman from Galliera Veneta in Padua province, a start-up which has developed a propagation laboratory in vitro based on innovation, using a new bio-reactor, as yet unpatented, designed by the Diflora Team, alongside the standard methods of micro-propagation. At present they have a particularly rich collection of hygrophilous plants, including about 62 varieties of Dionaea muscipula, the flycatcher with a peculiar bear trap mechanism, 105 species and different forms of Drosera, a plant used to calm different types of cough, 60 species and hybrids of the Sarracenia genus, with nectar laden borders to tempt insects to slide inside, and 25 of the Nepenthes genus, where the trapped insects are dissolved to absorb their elements. Roberto Bonetalli’s Everflor from Busnago in Monza Brianza province, is present for the first time, dedicated to the world of indoor and outdoor bonsai since 1996, including several Italian tree species. He also offers pre-bonsai plants of species cultivated in the ground for several years, such as Japanese acers: an excellent solution for growing at low cost. Another novelty for 2019 is Davide Contis’ Cactis from Bologna, a nursery opened in 2007 to design and maintain gardens. 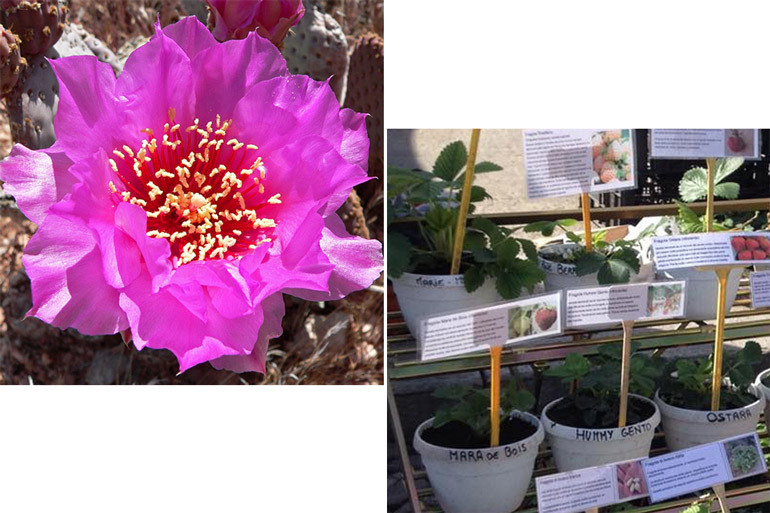 Davide’s passion are the Opuntia, Agave and Yucca genera, which he began to experiment in his garden and now reproduces from seed along with many other species of cacti and succulents. He will be showing a collection of more than 200 species of Opuntia, prickly pears which can be cultivated in the open and resist temperatures well below zero. Paolo Barillà from Ort Antigh, Colorno, in Parma province is not yet forty but has a great desire to research and recover rare, unusual and old varieties of plant. His adventure began when he started to cultivate a vegetable garden having found himself out of work. He will present a collection of old, rare strawberry varieties, and will explain how to create new varieties on his stand. Arte Antica Toscana are not nurserymen, but will also be at Orticola for the first time. They weave recycled wire, an ancient craft probably originating in northern Slovakia in the 17th century. It was initially used to repair broken china, then to construct objects for everyday use, soon spreading to Europe and America before disappearing almost completely with the advent of plastic. They have resurrected this tradition and given rise to a small production of artefacts, with the idea of drawing attention and interest to this craft in risk of extinction. 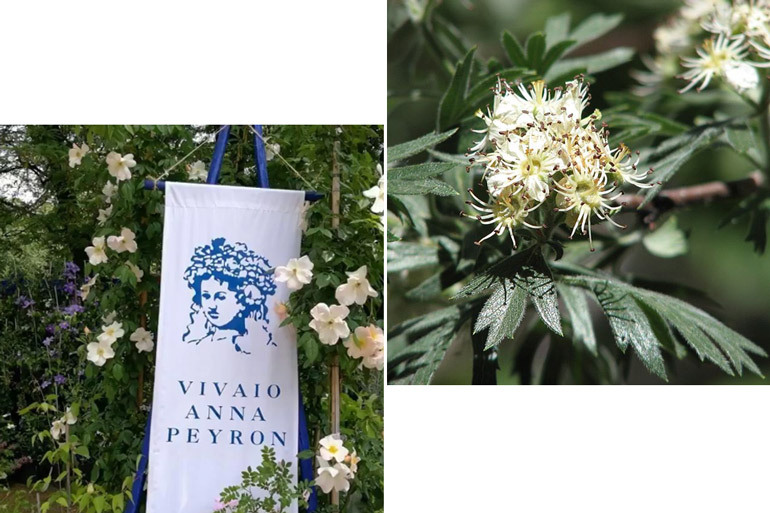 Also Anna Peyron’s nursery, founded in 1981 on three hectares of land 450 metres above sea level where this white-haired, forceful lady has concentrated her plant research. Now her younger daughter, Saskia Pellion di Persano, with Titian red curls, is at the helm. Her name derives from Rembrandt’s wife, painted as Flora, and the stylised image of Flora-Saskia is the emblem of the nursery. Vivai delle Commande will also be present again. Officially opened in 1994, its true origins date back to several years earlier and the Salvi Del Pero family’s passion for paeonies. The first nucleus of American tree and herbaceous paeonies was imported from the States in 1980 and the Salvi family decided to open a nursery after 14 years of cultivation and acquired experience, recently extending their selection to include hostas, other beautiful and versatile shade plants. The younger generation now work in the nursery too. or Central Park’s Fargesia collection, a non-invasive bamboo genus. A shrub Malvaceae from South Africa, Grewia occidentalis, is particularly interesting and suitable for Italian gardens, presented by Donna di Piante. The Castilleja coccinea from Plantula is very appropriate to the theme of the flower show, a hemiparasite attached to plant roots for nutrition, rather like mistletoe. Scorzonera hispanica, also known as Spanish black salsify, presented at Orticola by Floricultura Geel is widespread from Southern Europe to Siberia and is famed for its presumed efficiency against snakebite. Gardenia jasminoides “Kleim’s Hardy”, presented by Pollici Rosa, is particularly interesting for its hardiness, surviving temperatures to – 17°C. It is a compact gardenia variety with beautiful shiny dark leaves. “Mirabilia” (Marvels) appears for the first time, exclusively for the Orticola public, in a tent within the show, to introduce visitors to special, rare plants with strange origins, mostly unknown, from distant lands, or relatively unexplored by plant hunters such as Ethiopia, plants with exceptional size and shapes, collected and preserved by nurserymen. Dino Pellizzaro presents the Acanthus sennii, a shrub rarely found in cultivation with unusual red flowers and pointed leaves. Cascina Bollate displays the Cynodon aethiopicus, a herbaceous species which spreads easily and is photoautotrophic, using light as its vital source of energy; or Salvia aethiopis from the Vivaio Ciancavaré, a small, aromatic perennial from Africa with delicate labiate flowers as well as other particular species presented by the Città Studi Botanical Garden in Milan and the beautiful historic Palermo Botanical Garden, with whom Orticola has evolved a special North South Prize for nurserymen, to demonstrate the enormous climatic and botanical differences in this country. The two juries will set to work in the afternoon of Thursday May 16th. The Botanical Jury, composed of seven experts will choose the winner of the Orticola 2019 Prize for the best botanical collections and most significant plants regarding rarity and beauty. The Style Jury will select the best display regarding creativity and originality as well as profession. Over the last few years it has become a tradition for the Botanical Jury to invite a guest of honour: this year the jurors will include Giuseppe Barbera, Arboriculture Professor from Palermo University, author of many publications and expert on Mediterranean cultivation and culture, member of the Palermo University Botanical Garden Scientific Committee. The 2019 Style Jury welcomes a new member: Christine Foglia who has been cultivating her passion for nature and gardens since childhood, for their order, balance and infinite colour stimulation. For her all plants constitute a profound inspiration for the senses, particularly herbaceous plants and delphiniums. The four places which quintessentially attract the visitors’ fascination and emotion are the fountain and the three entrances to the show. This year the fountain design has been entrusted to Piante Faro, who will create a fascinating set-up from plants suitable for the Mediterranean climate, with an interpretation of a productive garden, the theme of the Radicepura festival which they organise in Sicily. The Palazzo Dugnani entrance, designed by Antonio Perazzi with Piante Faro entitled “Bosco e Giardino” (Wood and Garden) is particularly evocative with a wood of young trees, 2 to 3 and a half metres tall, as an invitation to visitors to buy healthy young trees to help regenerate the Italian landscape after the tragic consequences of the storm which felled millions of trees in different parts of the country last autumn. Following tradition, the other entrances will also be creatively decorated: Gheo Clavarino, together with Luini 12, has designed the piazza Cavour entrance with Piergiorgio Minari’s nursery, Vivaio Minari, welcoming visitors in a “green circle”, whilst the via Palestro entrance has been entrusted to the Fratelli Ingegnoli Nursery who have chosen to combine vines and box. This year too some of the profits from the Show will go to the Indro Montanelli Public Gardens to update and supply new maps of the Gardens, for display on the notice boards donated by the Association twenty years ago and restored with funds from the 2018 Show. New plantations and the integration of the main flower bed will continue, as will the commitment in via dei Giardini, as well as the small historic and romantic Perego Garden, with a plan to develop the ‘Stroll through the historic garden’ initiative in 2019, a garden visit accompanied by historians, experts and nurserymen, to explain the garden and Orticola’s commitment to maintenance and supply of plants. The Orti Fioriti (Flowering Allotments) at CityLife in viale Eginardo are still active, created by the Lombard Horticultural Society over approximately 3000 square metres, as part of the urban improvement project of the Milan Fair district by CityLife. Maintenance in the Giardino di Palazzo Reale (Royal Palace Garden) will also continue, now an oasis for a pleasant pause in the heart of the city. The objective of all these activities on behalf of the Lombard Horticultural Society is to give the Milanese population correct information on cultivation linked to aesthetics, supplying open spaces for recreation and relaxation. Orticola is very proud of its gifts to the city! Free meeting places for adults and children have always been considered as one of Orticola’s “premiums”. These consist of over 100 laboratories, courses, demonstrations, presentations of books, parks and gardens, both for recreation and education, in the three educational areas within the show (Dugnani 1, Dugnani 2 and Magnolia), as well as exhibitors’ stands and the CityLife space. Orticola continues in its mission to promote the knowledge and preservation of plants in every form. The latest edition of the magazine “Il Giardino Fiorito”, explains good botanical associations under many different aspects, including the combination of hardy tropical plants, those suitable to the Mediterranean climate to those adapted to survival at 2000 metres. 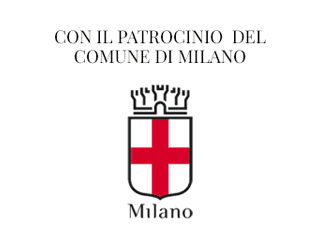 On Friday morning the laboratories are dedicated to Milanese schools. New to 2019! It is possible to buy “Early Birds” tickets in advance with a discount on-line till April 30th at € 10,00 (with the addition of 1 Euro for advance sale) on www.midaticket.it, to avoid queuing. A plant deposit is available, as in past years, to leave plants for collection, home delivery for heavy, bulky plants, wheelbarrow self-service within the show, as well as rest points and refreshment areas. 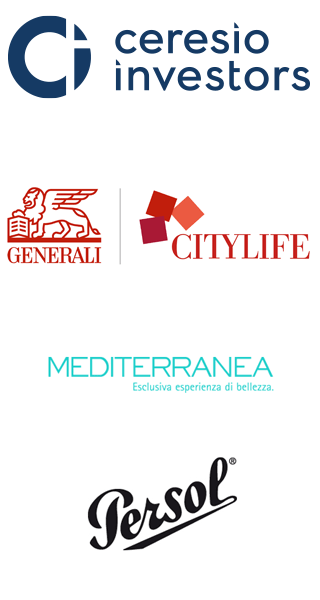 with the entrance ticket, “Orticola in the Museum” programmes will offer free or discounted entrances, special openings, guided tours and workshops. 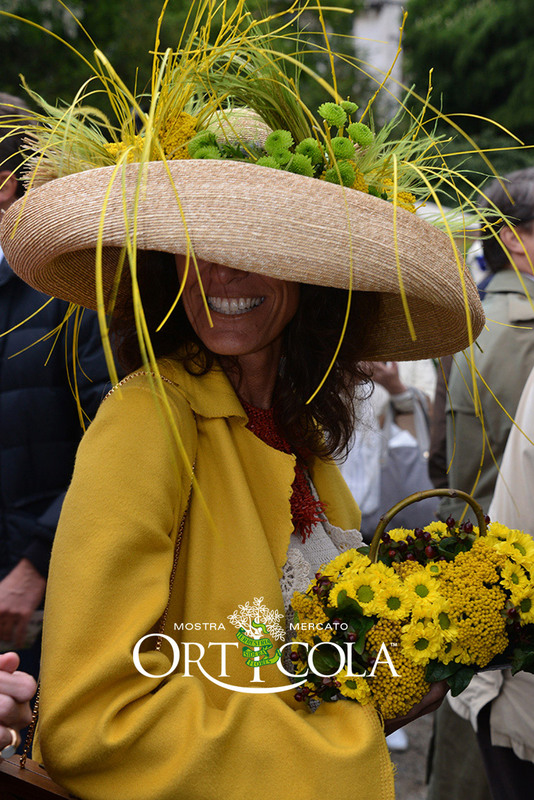 The Lombard Horticultural Society has presented the XXIIIrd Orticola Flower Show at the Indro Montanelli’s Garden, in Milano. For 2018 Orticola has chosen to endorse passion, satisfaction and the taste for gardening! and it must be …“For My Pleasure…”: the 2018 theme. For the appointment in 2018 Orticola hands over to the nurserymen. Each one must describe the plants chosen: “For … their … pleasure”. The nurserymen will show us what pleasure means for them, either aroused by experience or by commercial demands or even by curiosity and fondness for certain species and varieties. Which plants have given them most pleasure – well knowing that pleasure takes many forms – in the garden! 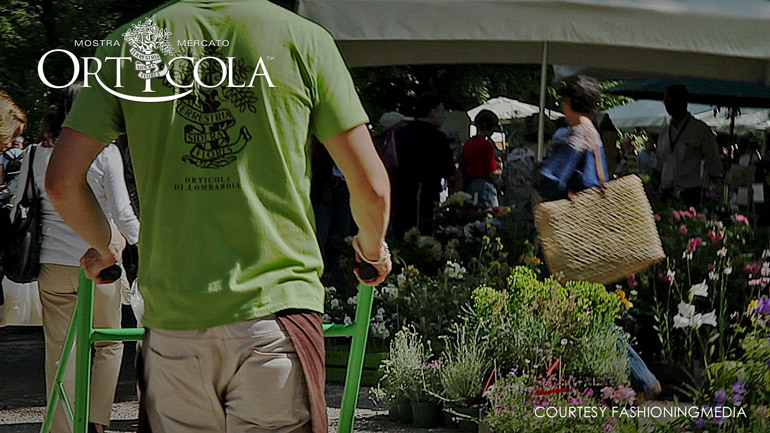 For 2018 Orticola has chosen to endorse passion, satisfaction and the taste for gardening! “For my pleasure”, is the theme with which the nurserymen must measure each other in 2018. Gardening is undoubtedly amongst the many trades sowing a sense of pleasure in that the gardener knows how to generate marvels from just a small seed. He also knows that he can cultivate the value of beauty with his toil. At times the gardener is also a nurseryman: he has chosen and selected the plants to grow in a garden. Sometimes he turns to the experience of others or draws on personal choices made through trial and error, of real geographic explorations and experience in the laboratory. Orticola sets out to emphasise and bestow merit on the commitment of nurserymen, awarding those plants which it considers the most beautiful, precisely because cultivated with expertise, or the most unusual, indicating careful research. Until now Orticola has suggested a theme to develop during the show and nurserymen have contributed in developing knowledge with part of their production. For the appointment in 2018 Orticola hands over to the nurserymen. Each one must describe the plants chosen: “For … their … pleasure”. The nurserymen will show us what pleasure means for them, either aroused by experience or by commercial demands or even by curiosity and fondness for certain species and varieties. Nurserymen, protagonists more than ever! 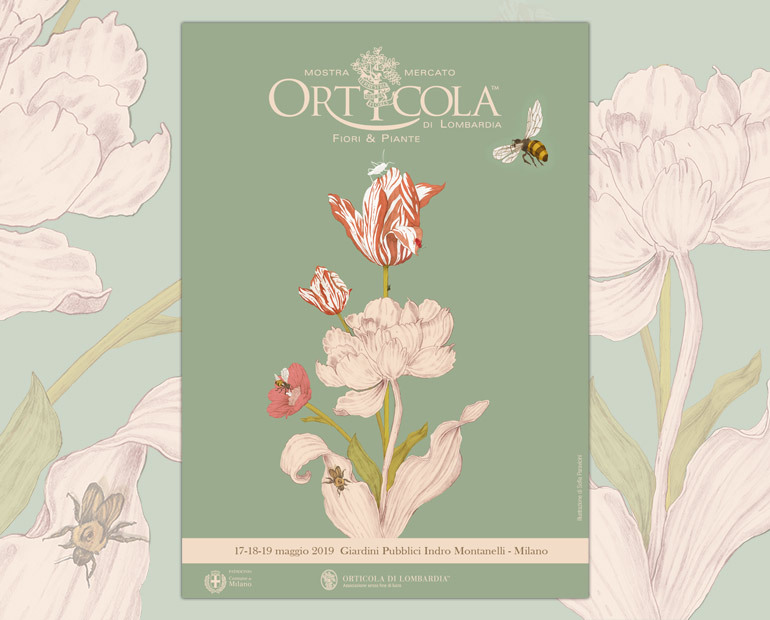 Orticola returns to present the best choice of nurseries dedicated to research and production to its public of enthusiasts and novices, striving to offer something new every year. The show, which this year too will host about 160 exhibitors, has invited several new nurseries to this edition in the search for unusual, particular plants, both in botanic species and in new cultivars, but also proposing new genera not easy to find elsewhere. Amongst the first-timers participating this year we find: Il giardino delle essenze perdute (The garden of lost species) of Marta Stegani with a Fuchsia collection, both botanical species and hybrids, Oasi aromatica (Fragrant oasis) with a refined selection of Tradescantia, with particularly ornamental foliage, and Le Iris di Trebecco (Irises from Trebecco) with a group of tall bearded irises; Lucio Oste with an interesting selection of 1.000 palms from 10 cm. to 10 metres tall, hardy in cold climates, Vivai Antonio Gigli, a Tuscan producer of acid-loving plants, who will display azaleas known as “Devil’s Azaleas” a brand developed by breeders from Borgo a Mozzano, in the Lucca province, who have joined forces in a non-profit association, in order to entrench the production even deeper in its original territory, promoting knowledge, development, art and traditions tied to cultivating this plant. Also for the first time Tillandsia will be present with a remarkable collection of those plants that don’t need soil to thrive, as the name would suggest, and finally, Green Service with a collection of cultivars and perennials not yet available in Italy. Orticola’s eyes are wandering further afield, inviting several new foreigners: amongst these orchids excel, with exotic and tropical examples from Orquideas Katia, Columbia; Orchideen Frenzel Detlef from Stuttgart, with a choice of species for hot, temperate or cold greenhouses, including Aerangis, Bulbophillum, Paphiopedilum and Vanda; the Swiss nursery Associazione Vivaio with a collection of viburnums and junipers, showing with the German Uhlig Kakteen and the historic French Dino Pellizzaro, Pépinière botanique de Vaugines, Braun Pépinière, and Cactées des Combes, returning after many years with a vast selection of Notocactus, a mass of yellow, red, orange and violet flowers, and about a hundred species of Mammillaria, some of them really small, full of flowers and resistant to cold. Amongst the new exhibitors we would like to point out Intrecci toscani (Tuscan basketwork) who create baskets and small objects by hand-weaving willow and olive twigs. a collection of ferns for Elisabetta Cavrini from Garden Studio, Buddleias or butterfly bushes for Francesca Moscatelli from Vivaio Donna di Piante and a collection of Rubus idaeus raspberries for Vivai Veimaro. Also a Sarracenia collection and Mimosa albida, a rare plant, widespread only in Central America, brought by Daniele Righetti. Also showing this year is Valerio Gallerati from Vivaio Vita Verde, who won the 2017 Orticola prize, bringing thirteen species of indigenous oaks featuring the Quercus x soluntina, a rare endemic specimen from Solunto in Sicily. Alongside the associations who have participated for many years, such as A.Di.P.A. – for an amateur diffusion of plants, A.B.A. the Amateur Botanic Association and Garden Club, conducting lessons in flower arranging and ikebana, the S.O.I. Italian Society of “Ortoflorofrutticoltura” is participating this year, illustrating its lengthy history of involvement and the commitment of the Working Group to conduct a census into Italian botanical collections. There will be an interesting encounter between the Department of Science for Food, Environment and Nutrition from Milan Università degli Studi who will describe the discovery of hedge mustard in the heart of the city along an ordinary road in Città Studi. Hedge mustard is a wild plant known as the “singers’ herb” since ancient times due to its healing properties for aphonia and pathologies of the vocal chords. The intention to propose a collection of natural (or easily made) tools at Orticola 2018 arises from this concept, in order to help the public see their gardens as “gyms for movement” and to interpret maintenance and gardening as a real possibility of exercising. ReGYM, with the supervision of Gabriele Corradi and his staff, propose several moments of aggregation and sharing to show that whoever chooses to garden, apart from looking after the health of plants first of all, also looks after his own health: correct movements and posture to avoid fatigue and pain will be demonstrated during the show. Also some Tai chi moves will be explained. The entrance from piazza Cavour evokes a small nursery greenhouse, captured in the moment of spring flowering, reproduced for Orticola 2018 by Gheo Clavarino together with “I Giardini e le Fronde” (Gardens and Foliage), Lucia and Stefano Ruhe’s nursery. Entering from via Palestro the garden designer Cristiana Serra Zanetti has put on a show with the assistance of Vivai Fratelli Ingegnoli. The great historic gateway of Palazzo Dugnani, the entrance from via Manin, is entrusted to the creativity of Massimo Semola, with the Vivaio Il Giardino, to display “Belle Epoque” kentia, orchids, Antarctic ferns and bird’s nest ferns. This recreates the atmosphere of winter gardens from the close of the nineteenth century, favoured meeting places in a cultured, refined age, distinguished by artistic ferment, technical and scientific progress as well as a congenial, brilliant social life. The gateway leads to the fountain decorated with an installation by Julia Artico with a taste of meadows and simplicity: five ethereal straw figures, water fairies, accompanied by melliferous flowers, beautiful in their straightforward candour. The services provided by Orticola are always much appreciated by the public: such as the possibility to buy admission tickets on line at www.orticola.org and midaticket.it to avoid queuing at the entrance. The plant deposit, to leave purchases until retrieval, home delivery for large, cumbersome plants, the do-it-yourself wheelbarrow service and transport within the show, as well as relaxing moments in refreshments areas. For more content please explore also the italian section of this Website.